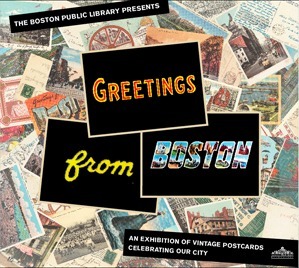 Join Meetcha members at the Boston Public Library in Copley Square to take an extraordinary and nostalgic tour into the cultural, social, and architectural history of early twentieth-century Boston and its vibrant neighborhoods - through postcards! Exhibit includes a large-scale 1928 map featuring vintage postcards of Boston's most famous historic sites and iconic institutions. Share your love of the BPL. This exhibit is free.